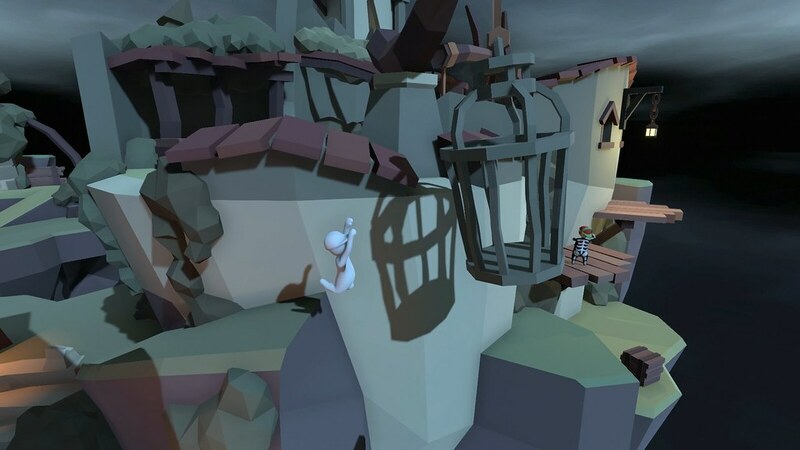 Michael speaking here on behalf of Curve Digital – I am the Senior Producer of Human: Fall Flat. Last December, we announced that more content is coming in 2019. I’m pleased to announce to you that our first big free 2019 update is coming on April 16! It will offer you a brand-new level called “Dark” and 13 customization elements! 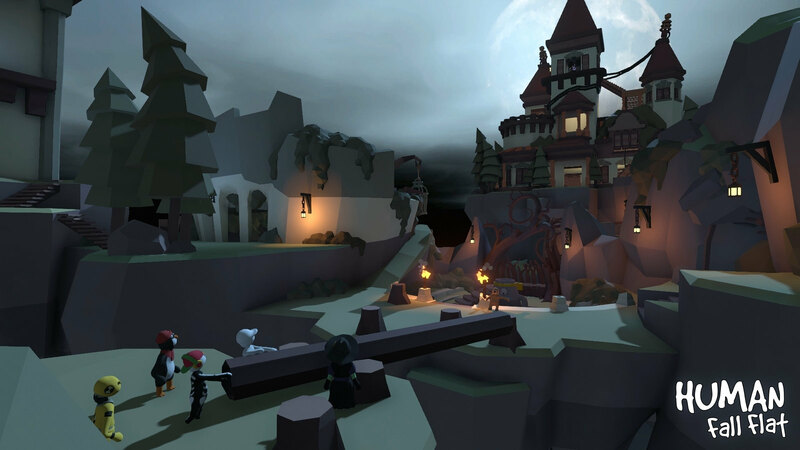 The new “Dark” level is the very first level set at night-time, with a flavor of a nightmare rather than a dream – but not scary, just atmospheric and mysterious. We wanted to try something a bit different, a level that would stand out yet was still undeniably Human: Fall Flat. A night-time level hadn’t been done yet, so why not? Moreover, we had electricity already used in the Power Plant level and this made us start to think about swinging lanterns and Tesla coils, and how cool electricity arcs would look in the dark. As far as the level theme is concerned, the main inspirations were horror movies like the Universal Classic Monsters and movies such as Beetlejuice and A Nightmare Before Christmas. Moving forward, we tried a few different horror movie tropes: abandoned buildings, the big creepy clocktower, a mansion on a hilltop, whilst trying to keep the puzzles based in reality and science, and to the Human: Fall Flat formula. When we started building the level, we used the two previous levels, Power Plant and Aztec, as benchmarks to make the new level as big as the Aztec level in size. However, it ended up being much larger. 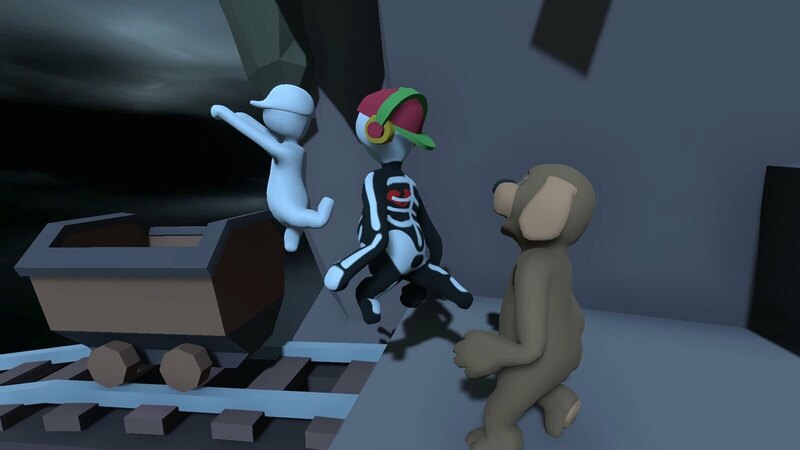 The puzzles themselves required a lot of iteration and tweaking due to Human: Fall Flat’s unique physics. I hope you like what we did with the level and the team is really looking forward to seeing you discover all the puzzles and surprises it has.